Monday | 2019-04-22 | 03:57 If you do your Best Where You Are, The Rest Of The World Will Take Care Of Itself. 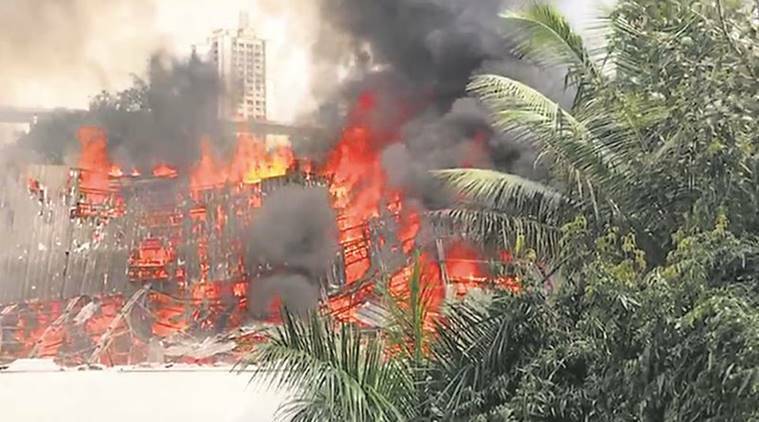 A major fire broke out at the iconic RK Studio in Mumbai. Though no injuries were reported but it did damage very valuable memorabilia, archival material, and costumes of all films produced there. Thus, the fire cost a lot. The prominent film studio was named after legendary actor Raj Kapoor and founded in 1945. The first film to produced at the studio was `Aag` in 1948. The studio has iconic films like `Awaara`, `Boot Polish`, `Shri 420` and `Jaagte Raho` to its credit. The last film produced at the studio was `Aa Ab Laut Chalen` in 1999. The studio has a huge history behind it as to how the Nargis-Raj Kapoor romance bloomed there, how she was a partner in RK Films initially, how she had a room of her own in the studio, how Raj Kapoor used to strike friendship with workers of the restaurants nearby, and how Lata Mangeshkar, after recording the `Barsaat` songs, sat on the pavement outside the studio with Raj Kapoor, wondering how the album would fare. FILM of this CENTURY : ‘THE MAHABHARATA’ : FIRST LOOK.